This might be one of my more fun Three on Thursdays, or at least writing it is amusing me! – I’m headed to Pittsburgh this evening to do interviews at my B-school alma mater. Although it means I’ll have been in 3 cities this week, and shown my US Airways loyalty for 4 flights in 7 days, I love doing interviews. I love sharing what I do, and finding those couple of people who are as excited at the prospect of doing it as I was 5 years ago. 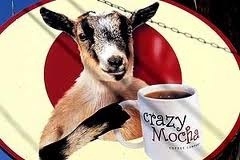 Also it means I can get Crazy Mocha coffee. – I’m running a 12K this weekend. A what? How many miles is that? Apparently, it’s not quite 7.5 miles, but it is the exact distance out MLK Jr drive to Falls Bridge and back. Karen will be partying at Disney for Wine & Dine, and I have to do a 10 or so mile training run, so when this popped up in a banner ad last week I decided to register. It raises money for the local public broadcasting station, and starts about 4 blocks from my apartment. I’ll either run the other few miles before the race starts, or after it finishes. – If everything goes as planned, I’m meeting some new friends for a Segway tour of Philly on Sunday afternoon. The friend that suggested it and I met at a recruiting event a few months ago, and she was excited to have someone else who was willing to do silly touristy stuff since her boyfriend had no interest. I am totally pumped about this. – Staying ultra-motivated to complete all workouts on my schedule. My travel schedule for the next week is as follows: Thurs/Fri – Pittsburgh, Sat/Sun/Mon – Philly, Tues/Wed – Baltimore, Thurs/Fri – Hartford. 1 week. 4 cities. 6-7 workouts. Keep the motivational quotes flowing in my direction, please. – Get back to eating clean. 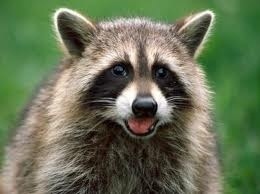 I’ve been way off track for the last couple of weeks, and I feel like a raccoon (they are notorious for eating anything, right?). I’ve got to get back to it, so this new layer of yuck can come back off. – Decide what I’m doing with my extra couch, and get it set up. Either post it to sell, or call to have Goodwill come get it so I can get my apartment in order. Sidenote, if you know anyone in the Philly area who’d like a full size sleeper sofa, let me know. It’s in great shape, I just wanted a new couch. – I got my sub-2:30 half marathon this weekend, and I did it all on my own! As I mentioned over the weekend, it was probably the most fun I’ve ever had at a race, I felt great, and other than a few minor aches and pains, felt great afterward. Of course, this means I know I can push harder and get faster. 2014, I’m looking at you. – I enjoyed my vacation time. I answered a few work emails, sent off one nasty-gram to people acting ridiculous at work, and decided I was finished dealing with them while I was gone. It was great just leaving the Blackberry at the hotel while I was out and about. – Last, but not least (and this fits into my Happy category too), I met the Cookies! We had a blast chatting and prepping for the race. The little Cookies were adorable (as you would expect), Nicole was plain awesome, and Brian’s accent was fantastic. I cannot wait to plan another race excursion so I can see them again. What’s on your Three on Thursday list? Ever done a Segway tour? Do you have a local coffee shop that you love? Why do you love it? Congrat’s on the PR, I’m looking forward to the recap. I never thought of using races for training, what a great idea! I never have done it before, but I really like it. It gives you a chance to test your pacing, and keeps you motivated! 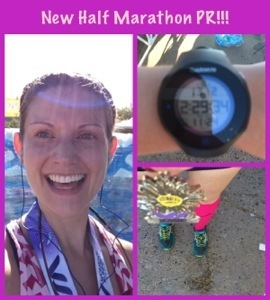 Eeek I can’t wait to read your recap, 2:30 half marathon is awesome! I feel like it would take me 4 hours to run one… if I’m lucky! Have fun with that 12k!